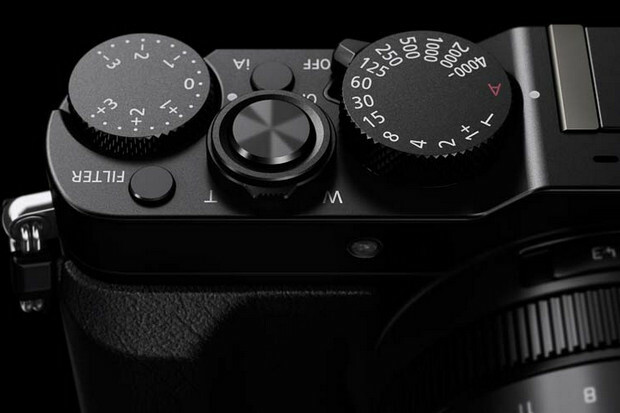 Unusually, the camera comes with a fixed lens in the shape of a speedy 24-75mm F1.7-F2.8 Leica lens, backed by video recording in 4K, and a live View Finder (LVF) with 2764K-dot equivalent high resolution. 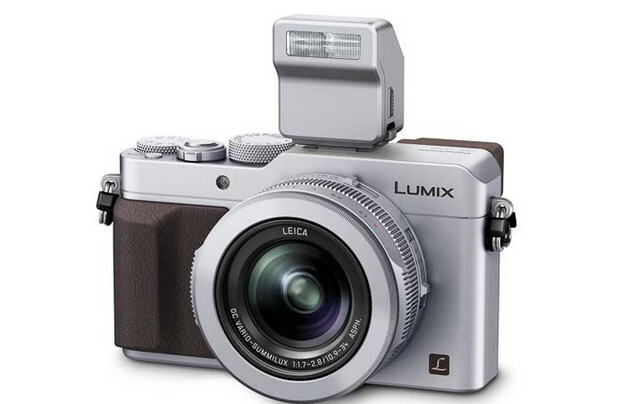 Capable of high speed burst shooting at a super nippy 11 fps, the LX100 also boasts integrated Wi-Fi and NFC connectivity and comes in a very pleasing retro styled package. We love the shutter speed and exposure compensation dials on the top plate and the aperture dial around the lens, although the 115 x 66 x 55 mm (4.53 x 2.6 x 2.17″) dimensions mean that this isn’t really a pocketable camera (and it’s a fair bit bigger than its rival, the Sony RX100 II). Priced at £799 , the Lumix LX100 is hundreds of pounds less than the Fujifilm X100S – and it comes with the benefit of a fast zoom lens too – but the LX100 loses its good looks when the lens is extended. Here’s the full Panasonic UK Press Release – more details on their web site. 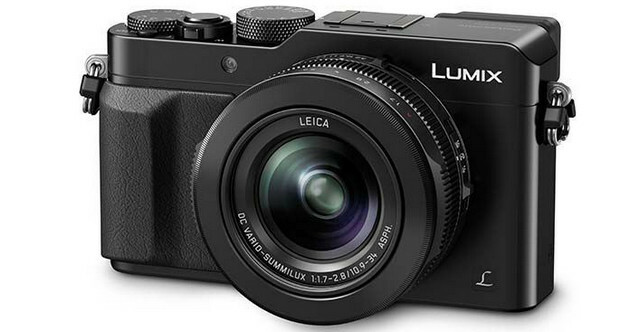 15 September 2014 – Panasonic is today launching the LUMIX DMC-LX100, its new flagship premium compact camera which sets a new standard for fixed lens photography and videography. 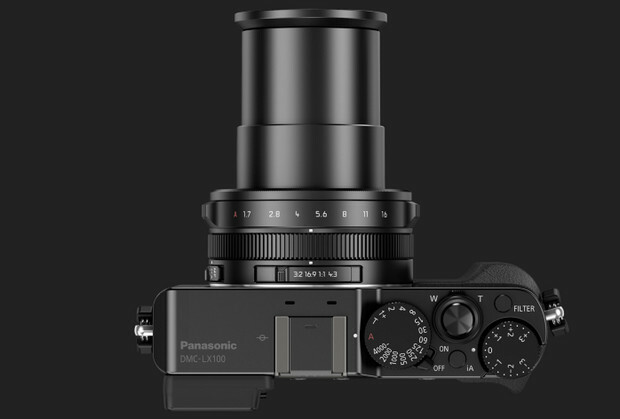 Combining Panasonic’s state-of-the-art digital and optical technologies with advanced manual controls, the camera has been engineered to help you push the boundaries of your photographic creativity. A combination of the LUMIX LX100’s large sensor and powerful Venus Engine means it is capable of stunning 4K video recording, allowing you to shoot realistic cinematic worlds, full of detail and true colour. The camera offers smooth, high quality video recording in 4K 3840×2160 at 30/25 fps in MP4; as well as high-resolution Full HD 1,920 x 1,080 50p videos in AVCHD Progressive (MPEG-4 / H.264) format. A dedicated button on the top of the camera’s body lets you instantly start recording videos while shooting photos, meaning you can always capture the moment as it happens. The LX100 also offers ‘4KPhoto mode’ which allows users to easily capture a still image from 4K video footage shot on the camera – meaning you’ll never miss that split second action again. 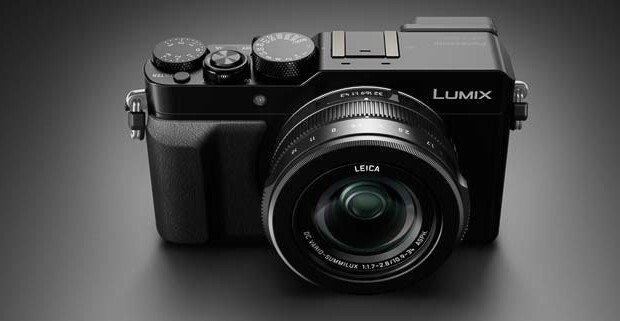 The LX100 is an addition to Panasonic’s a growing range of 4K imaging products which already includes Lumix GH4 and FZ1000 cameras and the A500 Action Camera.